The Suunto EON STEEL comes with the new Suunto BrightSee color screen, its crisp , clear and easy to read and super bright perfect for diving in any conditions. Special glass is used to increase both durability and also minimize reflection and maximizing the view angle. 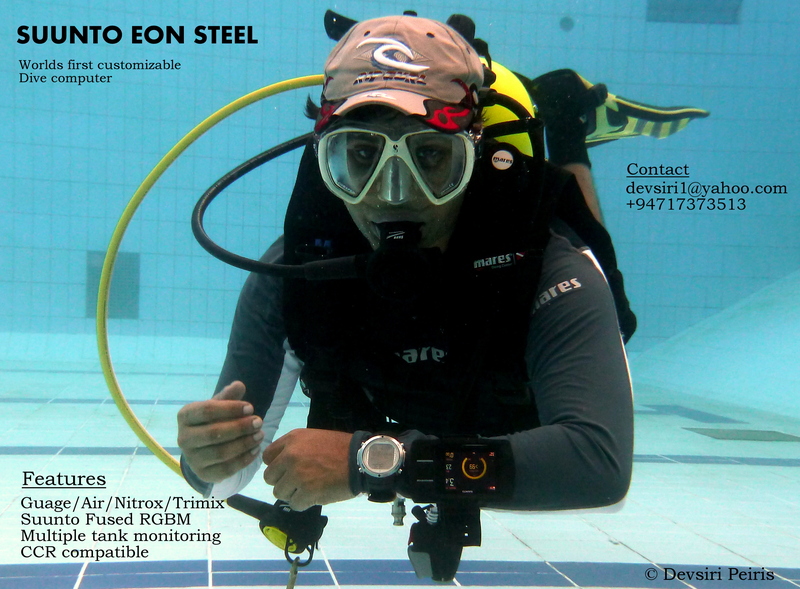 Testing the EON STEEL Computer in the pool with the Tank pod transmitter. Can choose and customise the screen from a classic view with graphics to a text based interface.